The inner nerd in me (who lives on the outside too) loves this quilt along. Yoshi was absolutely my favorite but you can tell Shelly has two boys and a nerdy husband when it comes to this quilt along. All the designs are spot on and I know if my younder brother had his way I'd definitely be making this quilt for him! 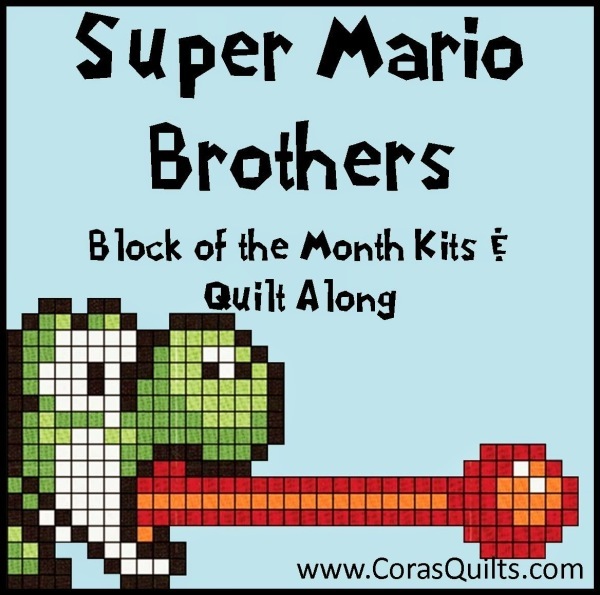 This is a great throw back quilt and some of the blocks would make GREAT throw pillows for your favorite nerd.